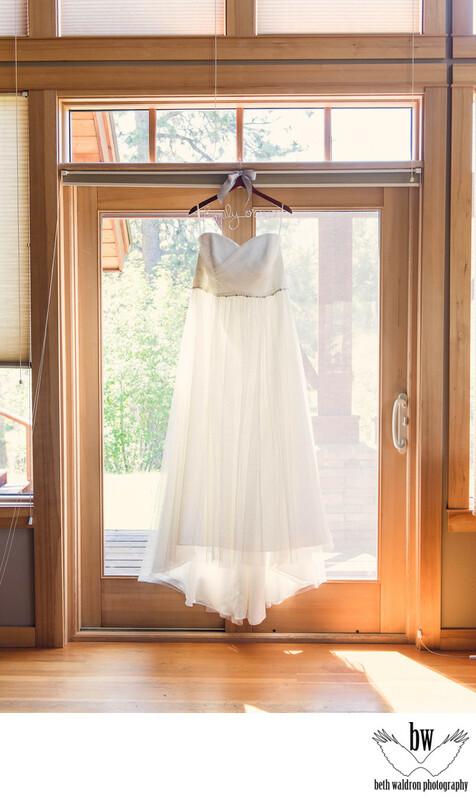 Wedding dress hanging in sunlit window on a private ranch in Montana. Now weddings in Montana will have to be destination weddings for me. I'm an Albuquerque and Santa Fe wedding photographer based in Corrales, NM.